Feeding horses is a little more involved than letting them out to pasture or heaving a few pounds of hay at them twice a day. You may have heard that horses need around 1.5 to 2.5 percent of their body weight in hay every day. If you do the math, though, you’ll realize this is actually a fairly large range. So how much should you feed your horse? The answer depends largely on the amount of exercise. 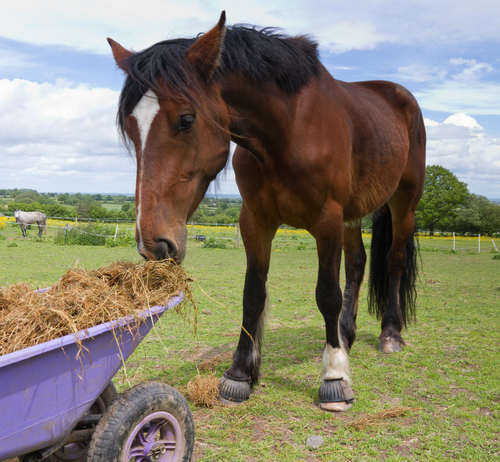 Here is a general guideline to help you decide how much to feed the typical work horse. Riding a few hours a week may seem like a lot, but for horses we consider this light work. 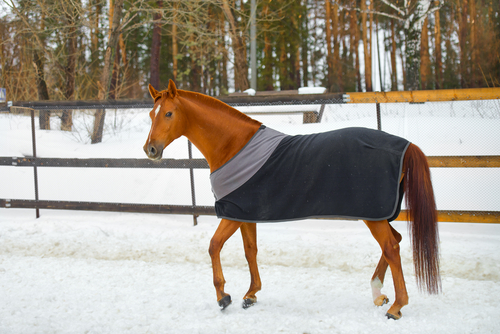 Many horse owners are surprised to learn that this kind of work doesn’t really require an increase in feed over an idle horse. Feed toward the lower end of the range, adding supplements to ensure he’s getting all of the required nutrients or try a complete feed that is geared toward idle or lightly worked horses, such as our Bermuda Blend pelleted feed. 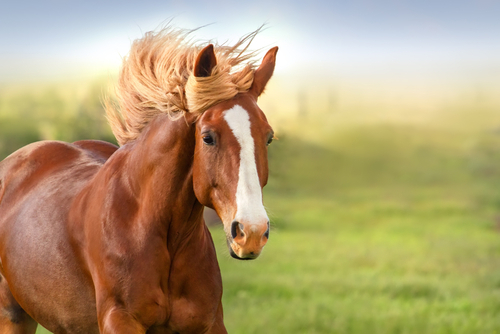 A moderately worked horse is generally ridden almost every day, racking up around five hours a week of riding time. While these horses have a fairly regular riding program, they’re still considered pleasure horses and are not necessarily ridden hard. They may need a modest increase in diet in order to maintain their weight, which can usually be achieved by increasing the horse’s grain or switching to a grain with more protein and fat. Another option is to switch to a complete feed that is designed for the moderately worked horse, such as our Standard-Bread or Thorough-Bread pelleted feeds. Heavily worked horses are rare, but there are some notable examples. For instance, working ranch horses, racehorses, jumpers, eventers, endurance horses, and ropers are all heavily worked. A ranch horse is a work horse in the truest sense of the term, racking up a lot of time under saddle even when it’s not hard work. Others work harder for shorter amounts of time, such as competitive jumpers and ropers. All of these horses will need substantial increases in both hay and grain in order to meet the physical demands of their “jobs.” Another way to meet their nutritional needs is to switch to a complete feed that is designed for horses in heavy work programs, such as our Thorough-Bread pelleted feed. Once you determine your horse’s level of activity, you can determine where on that range of 1.5 to 2.5 percent they actually fall. Once you start the new feeding program, closely monitor your horse’s weight and body condition, be ready to change the amount of food accordingly if you notice any unwanted changes. Your vet can also be a valuable resource in helping you decide how much to feed. 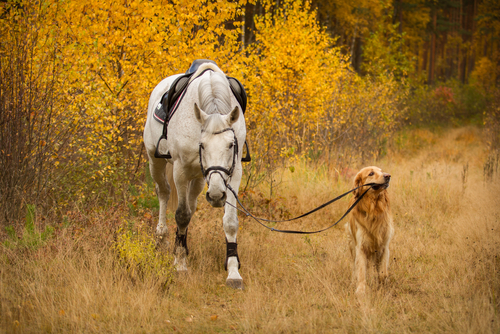 Meeting the nutritional needs of the typical work horse can include of testing, supplementing, and trail and error, but it doesn’t have to be that difficult. Contact Sacate Pellet Mills at 602-237-3809 to find out how a complete feed can take the guesswork out of feeding a working horse.